Some beers - or more correctly beer types - turn up from the most unlikely places it would seem today, and one such candidate surfaced recently from a country in which there is no historical precedent for its existence. Immodestly described simply as 'Bavarias Best' the front label gives away very little as to the content within. The beer comes from Germany, as the name suggests, a country synonymous with the lager style of 'bottom fermented' clean flavoured stylish beers, which at their best have a delicacy of palate and refinement few other countries can emulate. The lager style, founded in Pilzen in the Czech Republic in 1842, changed the face of brewing on mainland Europe, but Germany gave it gravitas producing a number of variations on the theme which were regarded as definitive styles. A closer inspection of the back label however reveals something very different. This particular beer has little or nothing in common with its German lager heritage, but more akin to the 'top fermented' brews produced across the channel in England. It is one of a new breed of German beers that has broken away from its historical roots, which probably owes as much to the inspiration of American diversity and innovation as to its English origins - Imperial Stout. It is though, by German standards, very out of the ordinary! Imperial Stouts were originally produced in England for export to the Russian Aristocracy prior to 1795. Top fermented, big and bold in style they were brewed to high alcohol levels, essential not just for their survival by sea, but to comfort the Russians through their harsh winters - as internal heating! This German example, brewed by Schonramer in Bavaria, is following a trend amongst a number of newer breweries in Germany who are re-discovering top fermented styles, be it Brown Ales, India Pale Ales or Stouts, and introducing them to a new audience who have travelled and experienced what the American and British brewers are doing with such beers - producing exciting, eclectic, flavoursome ales! 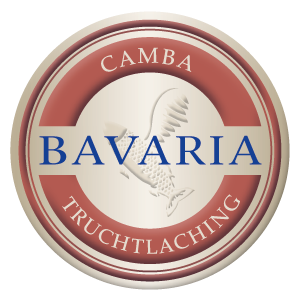 Another Brewery in Bavaria, Camba, has also been establishing a reputation for iself in producing such quality brews, and it is noteworthy that Eric Toft the brew-master from Schonramer created the recipe used by Camba for its Imperial Stout, sharing and collaborating much in the same way that the US and British brewers are currently doing. And so to the beer itself. 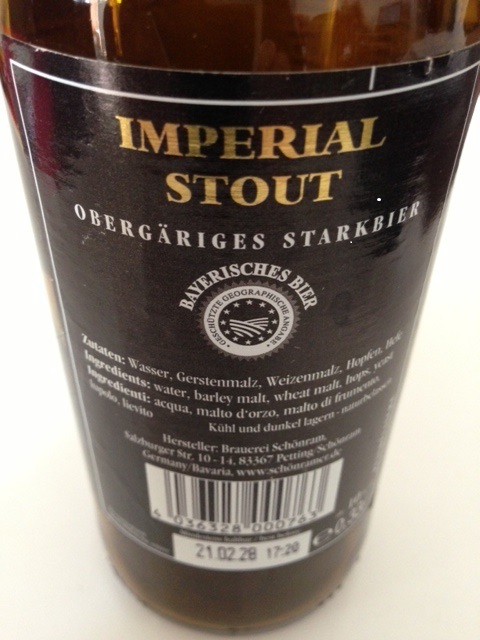 Whilst it is a good rendition of the Imperial Stout style ( and weighs in at the correct strength of 10%Alc/vol. ) it lacks a touch of intensity and depth you would normally associate with the style. Nevertheless, it is a fascinating insight into the way brewing trends are being influenced by global interaction. As little as 10 years ago such endeavours would have been unheard of in Germany. The only other criticism I would level at the beer is the label itself. The message 'Bavarias Best' is simplistic enough (and there are other top fermenting beers in this range using colour coded labels to identify the styles) but for a beer that warrants more attention the important wording ,which contains the all important kudos, is on the back - Imperial Stout. Few other breweries worldwide would relegate this information to the back label. A change of approach may not be forthcoming, but for serious beer enthusiasts it would be welcome and add far more credibility to the product.